Lauren Jackson shares her first dance with quadriplegic husband Joel Jackson using a ZeroG device. Joel Jackson was paralyzed from the neck down in a car accident in 2009 and married his wife Lauren four years later. She made him promise that as soon as he could get out of a wheel chair, he would give her the first dance she had always dreamed about. And on October 1, two years after their wedding, he kept his promise. It was in December of 2009 that Joel and some friends got into a car with a drunk driver. The car collided with a telephone pole killing another passenger, while leaving Joel paralyzed from the neck down. During the accident Joel’s spine shattered and internally separated from his head, his jaw was broken, he experienced brain stem damage, and he lost the ability to speak. His C1 spinal injury is one that most do not recover from, and he was placed in a medically-induced coma while doctors successfully fused his spine together with a steel rod. His family was prepared for the worst, planning funeral arrangements and organizing a visit with organ receiving company, but Joel came out of the coma with a strong body, and began to show signs of awareness. The couple, both 26, met in South Carolina as freshman in high school, according to the couple’s The Voyage Less Traveled blog. Though they drifted apart in their late teens, Lauren entering a rocky marriage and Joel getting involved with drugs, Lauren explained that she always loved Joel. It was when she was visiting him after the car accident that the flame between them was lit once more. For their original first dance, Lauren had sat on Joel’s lap, “But I told him, ‘When you can talk, I want to renew our vows. And when you can walk, I want you to dance with me,” Lauren told Joel, according to NBC News. On October 1, with the help of a ZeroG body-weight support system at the Brooks Rehabilitation Center in Jacksonville, Florida, the couple were able to share their first dance the way Lauren had hoped for. With Joel standing, Lauren’s arm wrapped around his waist and his hand in hers, the two gently swayed and spun as their original first dance song, “I’ll Be” by Edwin McCain was played over the facility’s speakers. After hearing from several rehabilitation centers that nothing could be done for Joel because of his unique C1 spinal injury, Joel and Lauren have continued to persevere. McIver also explained to NBC News that though it is uncertain what progress Joel will make – due to his previous lack of proper physical therapy – he has continued to gain strength and regain body movement. “That little step that got him something he wanted, and he looks at what’s the next thing he can do,” McIvwe said. According to their blog, the couple, who have been living with Joel’s family, is hoping to purchase their own home to build an all-inclusive wedding location. Lauren writes, “It has always been a dream of mine to own an event venue – so I can have my hand in EVERYTHING weddings – from the planning and event management to the decorating, from the photography to the floral arrangements. But… we need your help.” The couple has set up a Jackson Home Fund to help offset the costs of not only building their home, but a small farm and wedding venue to create a sustainable income. “If this happens, it means we can support ourselves. We can make a living and start a family. 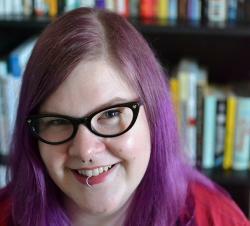 This means a life outside of the parameters of the ugly word ‘disabled,’” Lauren writes. More information information on Joel and Lauren Jackson’s journey, Joel’s original artwork, and the Jackson Home Fund can be found on the couple’s The Voyage Less Traveled blog. 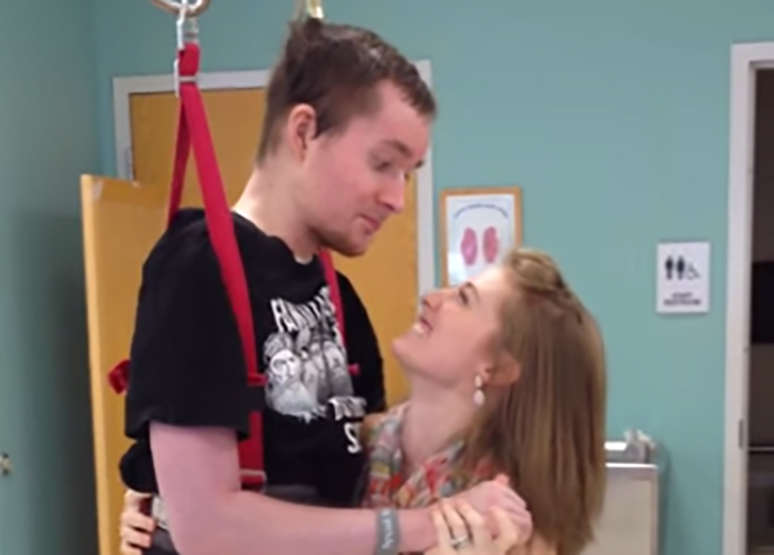 Be the first to comment on "Quadriplegic Man Stands for First Dance with Wife"